Sometimes in life it’s good to mix things up. 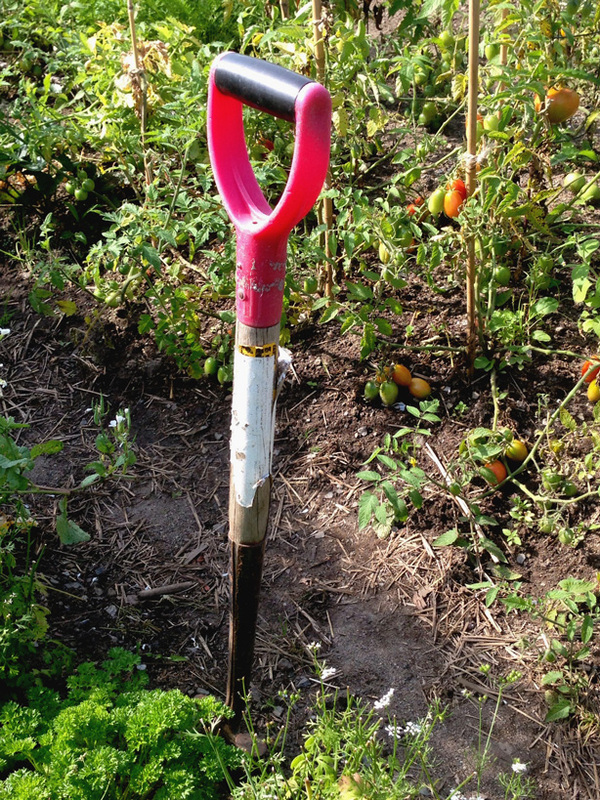 As we all like a project we can sink our teeth into, what could be better than revamping your garden? The same old lawn and shrubs can start to look tired after so many years, so that might be a good time to spend some time giving your garden a bit of a love. Not only does gardening get you out in the fresh air, but you will reap the rewards for years to come. 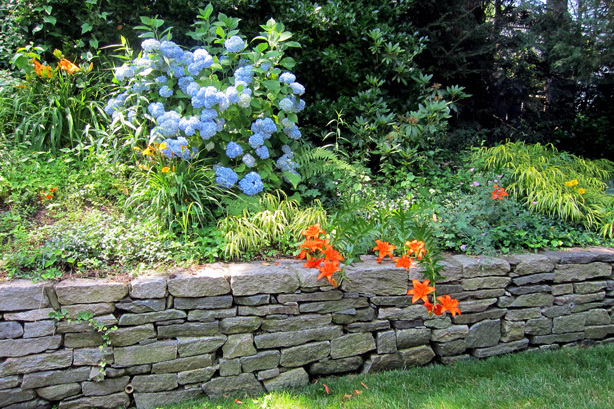 Here are 11 ideas for breathing new life into your backyard. This is an idea for somebody who doesn’t have that much time for gardening, but would still like to see some change. A fully grown tree in your garden would make quite an impact. If you plant a sapling, you’ll just need to spend a bit of time checking and watering it every now and then. This idea is both fun and practical. When you designate a corner of your garden as a vegetable patch, not only will it look good (they’ve got quite a rustic charm), but it will give you a bountiful supply of fresh, healthy, delicious food. Start small to experiment, then extend the patch if you’re happy with the results. 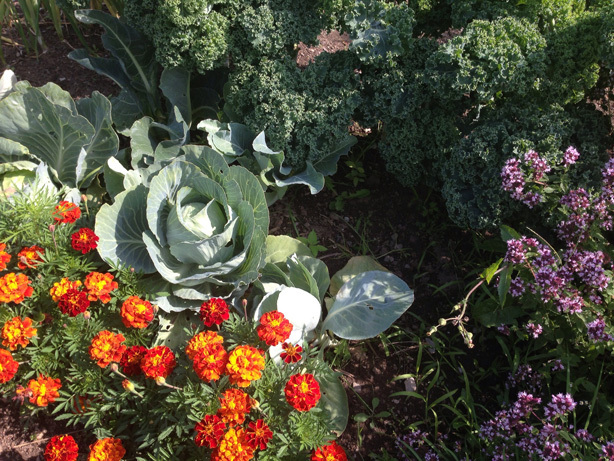 You could ultimately turn the garden into a little farm – a good way to save money! 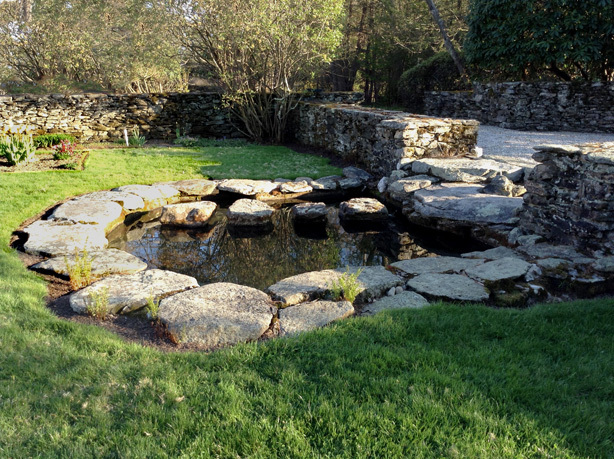 If you feel your garden lacks a central feature, you might like to install a pond. 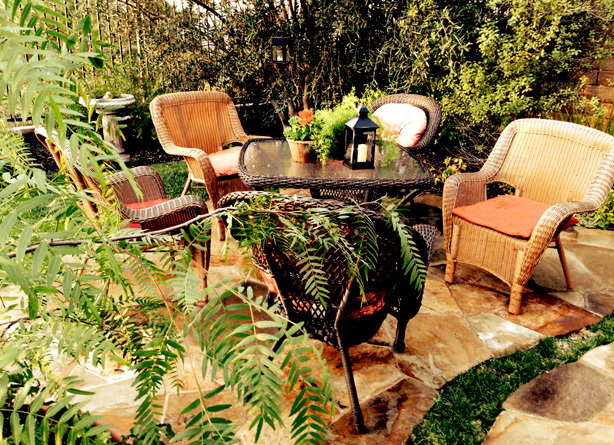 Ponds make a beautiful centerpiece, and you can create a seating area by positioning a few benches around it. Imagine the hours you’ll spend talking into the summer night as a comfortable breeze blows and the pond gently ripples. Are you the social type? If so, you might like to get a barbecue pit for your garden. It could really help your plans for an outdoor party come alive. You might think this is the kind of project that would be difficult to implement, but you’ll find that’s it’s not too tricky once you’ve read a few online guides. You and your friends will enjoy sitting around the BBQ pit and just think of all the priceless memories you’ll make! 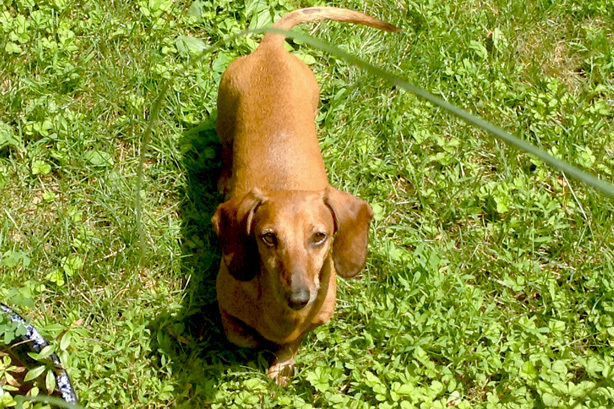 Nothing quite brings a garden alive in the same way as living, breathing creatures. Obviously, what you get depends upon the size of the garden – it’s important to ensure you have enough space. 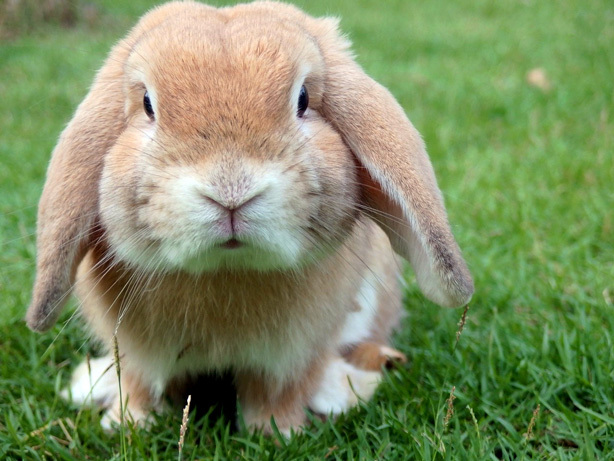 Who doesn’t like to see a run full of happy and energetic rabbits? Or a coup full of plucky chickens? Guinea pigs also make wonderful pets for children. Think about the seating arrangements in your garden. Do you have any chairs, or have you thought about replacing them with swings? 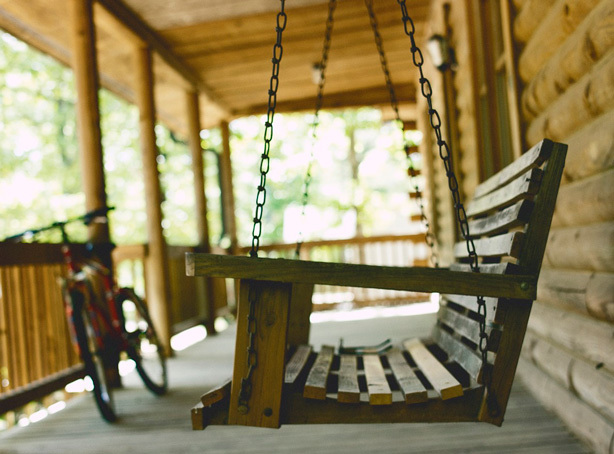 Sitting outside is nice, but gently swaying in a swing seat is downright therapeutic. You’ll find it a perfect way to release stress and a great way to encourage people to spend time outside in the garden. Have you got kids? Wouldn’t it be great to give them a place to play outdoors? Why not turn part of your garden into a children’s play area? You could get a swing set, slide, sand pit, and just about anything else you could think of that your kids might enjoy. It’s also a good way to encourage them to exercise more. Here’s something the whole family can enjoy. Not only is a treehouse a wonderful place for children to camp out, it could be a nice little nook for anyone who is looking for some quiet time to themselves. Consider building a simple one yourself or hiring a professional to construct one for you. You’ll end up with an additional space in which to hang out. Would you like to work on some botanical projects? Maybe you’d like to grow some tropical flowers? Well then, a greenhouse could be the way to go. It could be nice to show people around it and to show off your prettiest flowers. 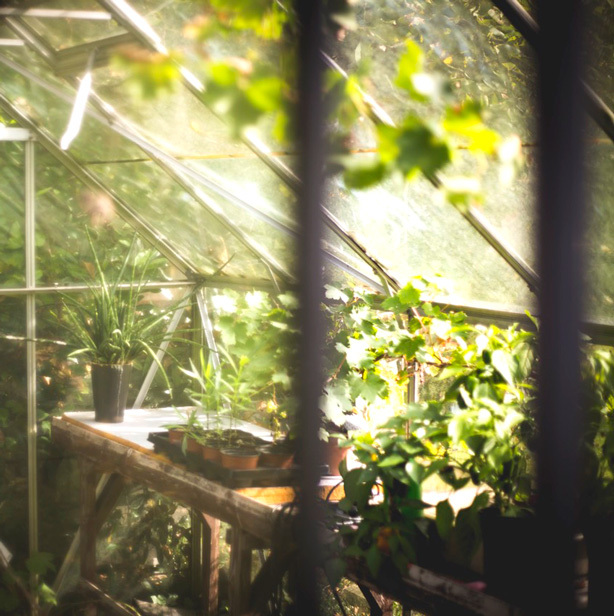 If you are thinking of building a greenhouse (or at least, a closed off little area just for the flowers) then consider using clear plastic sheet instead of glass, as it’s much tougher and also much less expensive. It doesn’t need to be all that elaborate and even somebody with a small garden could pull something together. What’s the weather like where you live? Do you find that it gets very muddy, perhaps to the extent that walking in the garden during winter is downright unpleasant? If so, have you ever thought about decking out garden with wooden surfaces? Not only does this make it easier to get around, it can look pretty good too. Photo: Scott Leuthold, Creative Commons, Flickr. Sitting around a roaring fire in the middle of winter can be absolutely fantastic. 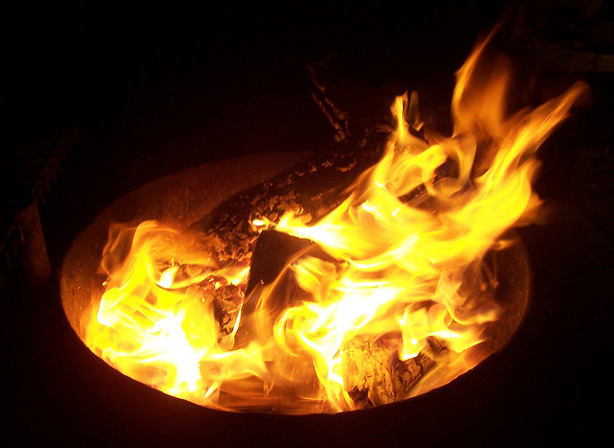 If you love a good fire, then you might want to think about adding a fire feature to your garden. Some are relatively simple to create yourself, so they are a good solution for those with smaller budgets. Some of these ideas don’t require much of an investment. Whether you want to go all out and do several of these things at once, or just one of them will be enough of a change, you have options. How would you like to change your garden? Jake Watkins is a freelance writer. He used to work for a content marketing agency and has built up a wealth of knowledge in various different industries. When he’s not writing, he enjoys hiking out in the hills. You can follow him on Twitter for contact him via his website.